The counties of Martin and Palm Beach are hosting a 24-hour event from May 3 to May 4 (midnight to midnight), open to the public, known as the Great Give. All registered nonprofits in these counties that are IRS and Patriot Act compliant are eligible to become a part of this amazing event. The minimum donation accepted per donor is $20. This donation is compounded by an additional percentage of the bonus pool that is raised by the Palm Beach Community Foundation. says Corrie Edwards, Marketing and Communications Manager. Last year’s event raised more than millions of dollars for local nonprofits in Palm Beach and Martin County. All of this financial support was raised in 24 hours from individual donors like you! Imagine how much support nonprofits could receive if they fundraised all year. In fact, fundraising should be a full-time operation in each and every organization. Grants may require a lot of time and energy in order to successfully complete. Not to mention, you are limited to specific funding sources when you apply for grants. Another great way to fund your campaign is crowdfunding on Uhelpfund. On Uhelpfund, you can tell your story and showcase your cause to all of your followers. Creating a campaign is simple! Connect to all of your supporters through our featured articles on GrantNews.press, post photos and videos on social media, and accept online contributions using a Stripe account. 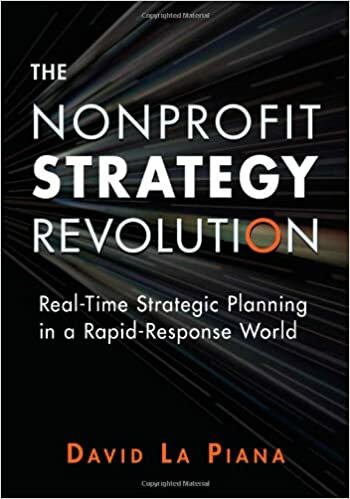 Check out The Nonprofit Strategy Revolution: Real-Time Strategic Planning in a Rapid-Response World, by David La Piana, to learn how to adapt your organization to the ever-changing demands of today’s fast-paced world. Find out how to develop fluid strategies that give you the upper hand against traditional structures of business. La Piana teaches you how to assess the goals of your nonprofit and tailor them to new technology and circumstances immediately. Make fundraising a full-time priority for your organization. Go straight to the fundraising sources at GrantWatch.com, and apply to hundreds of new grants posted each week. Combine your grant writing efforts with crowdfunding campaigns at Uhelpfund. This style of fundraising allows you to reach new supporters through social media and online platforms! Synergize your local project with global tools at Uhelpfund! For more information, call our team of nonprofit experts at 888-240-1494 today! About the Author: Uhelpfund Staff Writer with contributions from Bradley Hurlburt and Corrie Edwards of PBCF. A crowdfunding mentor can be reached at 888-240-1494 to assist with your crowdfunding campaign on Uhelpfund. Quite fine post, I certainly love this website, keep on it. You have a very nice blog, I will share it… keep posting. Generally, I do not read articles on blogs, but I wish to say that this write-up very forced me to try and do it! Your writing style has amazed me. Thanks, very nice article. I went over this site and I concede you have a lot of good information, saved to my bookmarks :).